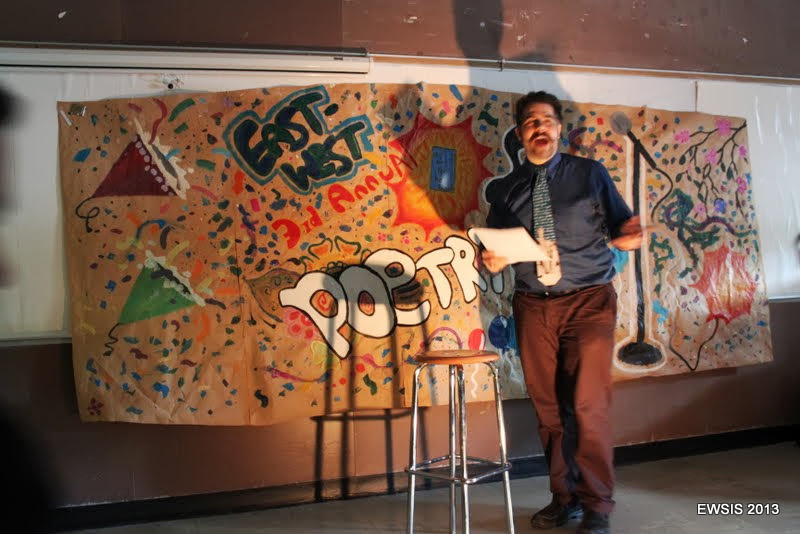 On Friday, May 31st, East-West hosted its 3rd Annual Poetry Slam. 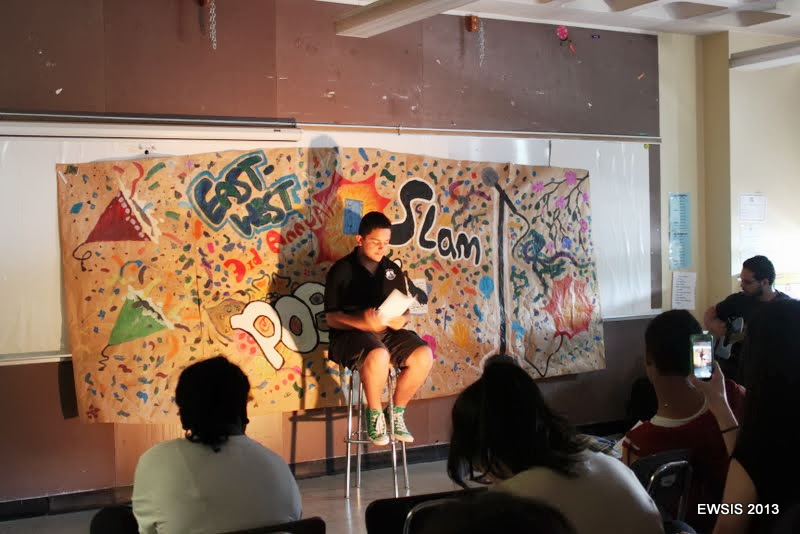 During the Slam, over 25 poets competed, performing original spoken word poems, songs, and raps. 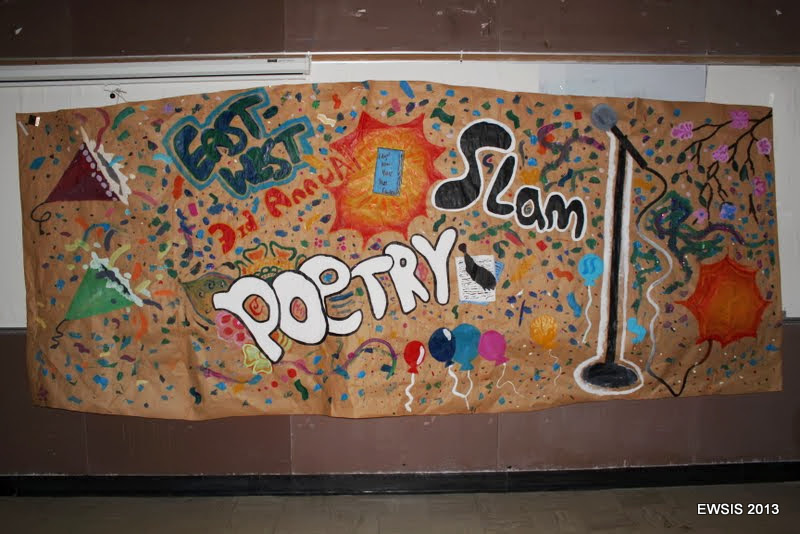 The Slam was the culmination of several months of hard work for the poets, who ranged from sixth through twelfth graders. The slammers tackled a multitude of complex, controversial issues, such as racism, cyber bullying, unrequited love, loss of innocence, identity, and self-worth. 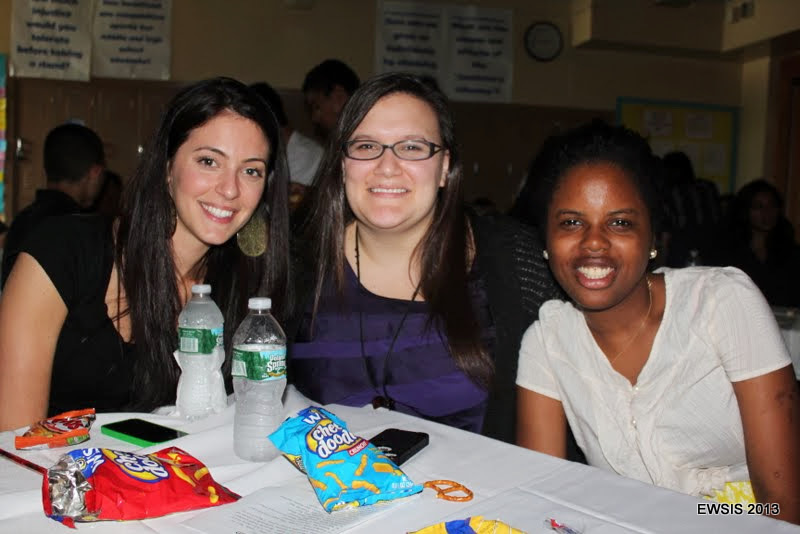 The audience, consisting of students, parents, siblings, teachers from every discipline, proud parents, administrators, community assistants, and staff, sat at candlelit tables and enjoyed refreshments generously provided by the PTA. 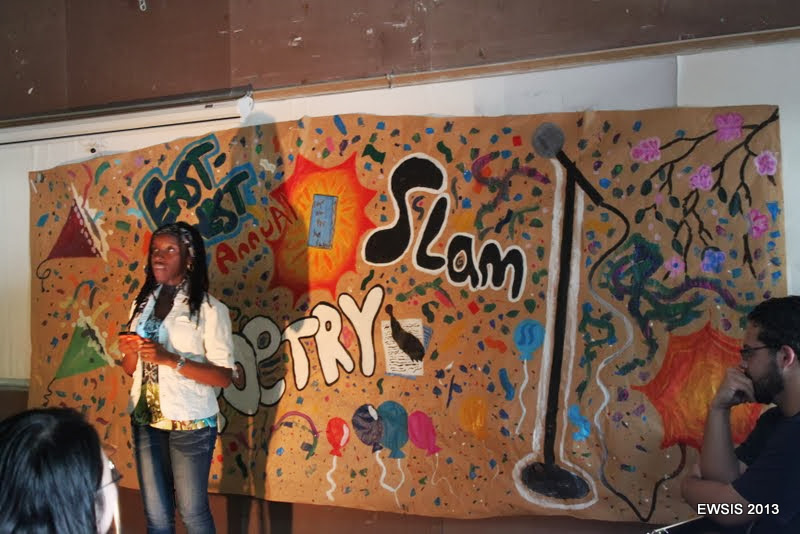 Sequoya Fahie, who performed her poem, “Black Dot in a Sea Yellow,” about her experiences coming of age as an African-American female in a predominantly Asian-American community, was the winner at the high school level. Her powerful poem received a standing ovation. 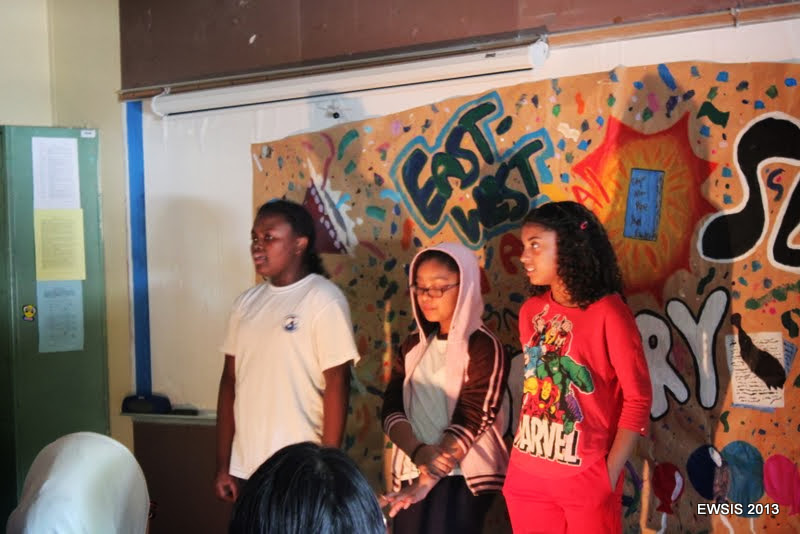 A sixth grade trio, Eryn Harris, Faith Dulaurier, and Kariel Ruby Johnson, with Joshua Alvarez on guitar, caused the entire crowd to erupt into sing-along when they performed their song, “I Wanna Grow Up” and took home the title of Middle School Champions. 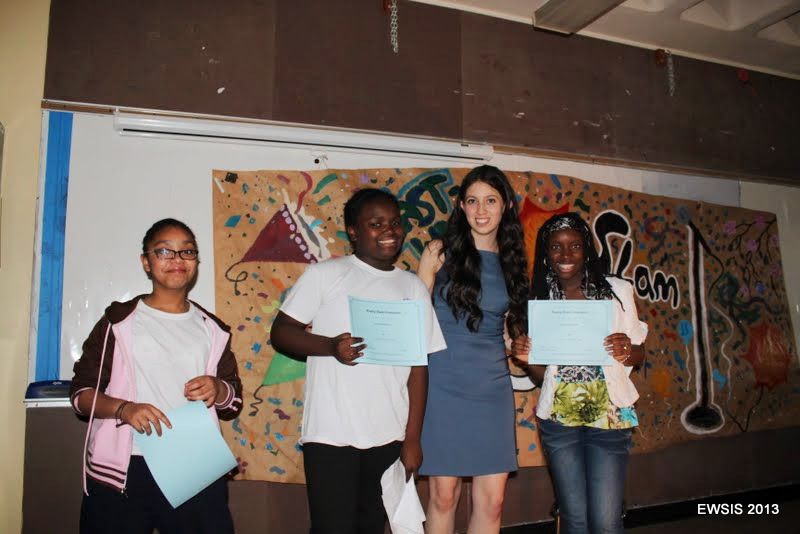 Both poems received perfect tens across the board from the judges randomly selected from the audience. 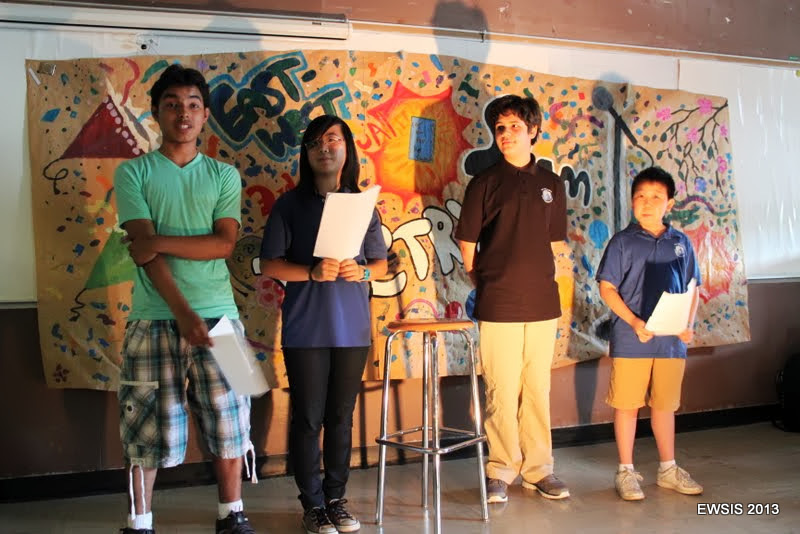 Additional highlights included a group poem called “Nobody’s Perfect” by 7th graders, Andrew Chen, Jeremi Chimbo, Jesus Romero, and Nina Zhang, about accepting and loving yourself and others regardless of flaws and imperfections. Our very own, Mr. Oppenheim, a middle school Social Studies teacher, performed a poem about his 7th graders that got the whole crowd cheering! 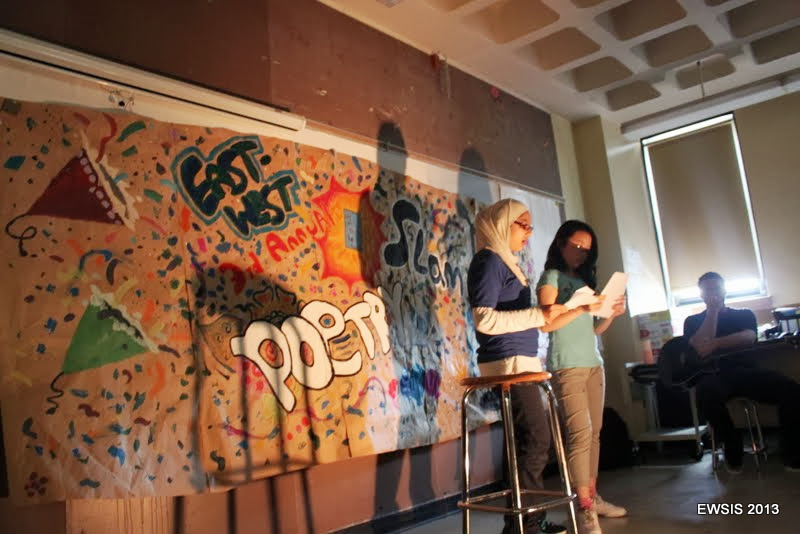 Two years ago, Ms. Binaso developed the Poetry Slam when she saw that many students did not have a public space to share their opinions and frustrations about social issues that were important to them. She also saw it as an opportunity for students who struggled expressing themselves through traditional assessments to flourish creatively. 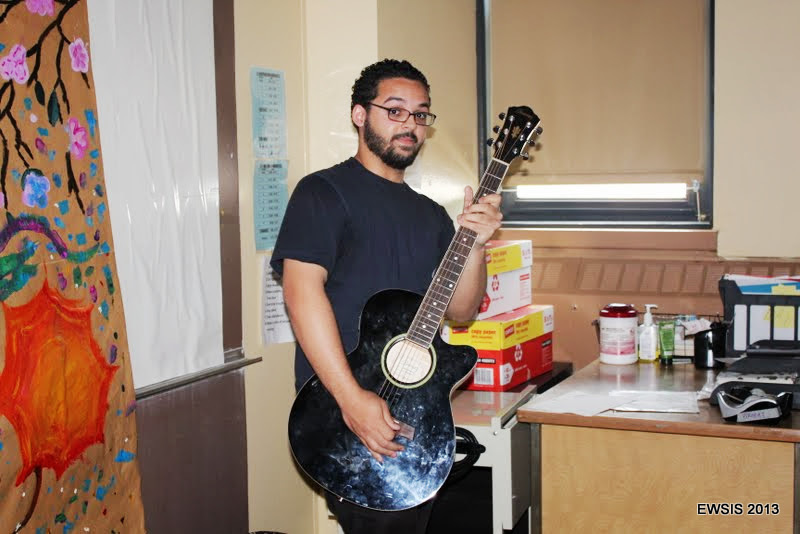 Even though her students were writing poems, journaling, and writing blogs in their free time, they felt that their words could not provoke real change. 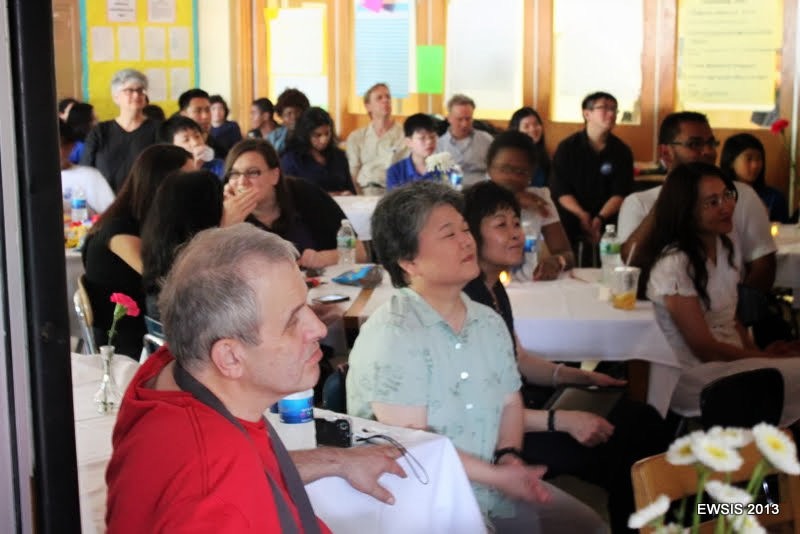 As a result, Ms. Binaso created a unit in her tenth grade class focused around the question, “How can our words create real change in our communities?” Students had discussions about what it meant to be part of a community, whether that community was a small family, East-West, or even all of Flushing! Students wrote poems in pairs and in groups about issues of their choice. 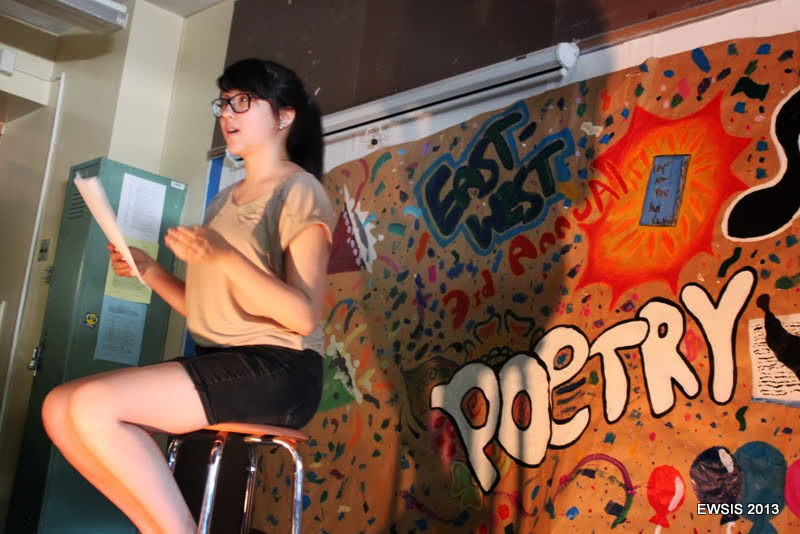 When she saw how heartfelt and powerful the poems were, and how students would cheer for their peers and compliment them after performances, she knew that she could channel that positive energy and excitement into a Poetry Slam. 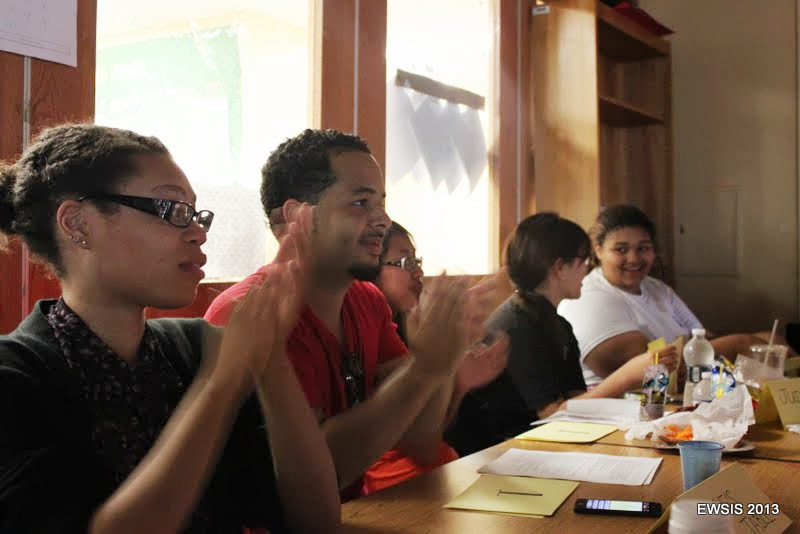 Over the years, she has invited both middle and high school slammers as well as staff to write and perform poetry. 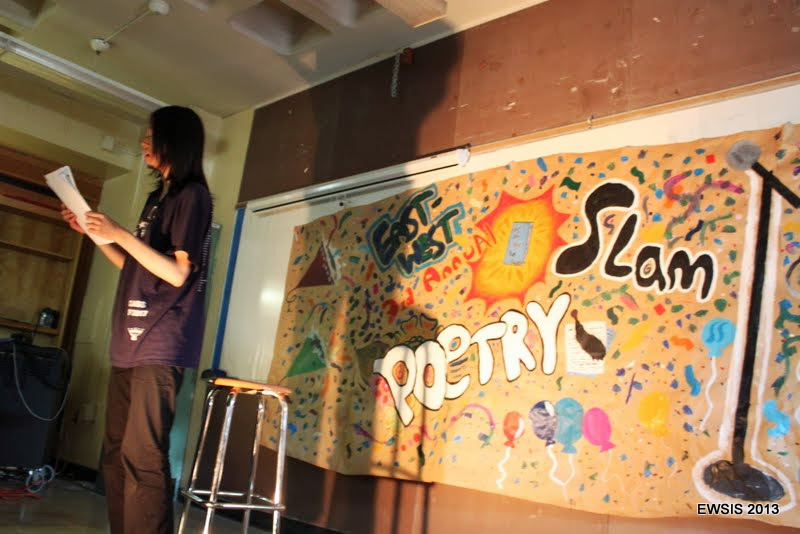 She hopes that the Slam will continue to empower students and ensure that their voices are heard and validated.